TROY, AL. (February 5, 2019) – Troy Athletics and IMG Learfield Ticket Solutions (IMGLTS) have entered into a ticketing relationship that will bolster and serve the already surging Troy fan base, Troy Director of Athletics Jeremy McClain announced Monday. IMG Learfield Ticket Solutions now represents 43 collegiate properties, including 11 on-site relationships in the Group of 5 Conferences. 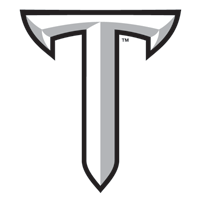 Troy University is the second member of the Sun Belt Conference to join IMGLTS in the past year after Appalachian State launched its relationship last April. The new relationship has resulted in the addition of two IMGLTS staff members working on-site at Troy. Chris Weil was added as the manager of ticket sales and Ryan Kay as an account executive; both are Troy graduates and Kay was a four-year starter for the Troy football team. Troy has set attendance records across the majority of its athletic programs over the recent years including three-straight seasons at Veterans Memorial Stadium for the football program.